UNIsphere is the sum of 2 Dutch musicians who are fascinated by an EM based on a rhythmic and melodious approach. If one, René Splinter, likes a rhythmical EM which is strongly influenced by Tangerine Dream's Schmoelling era, the other one, Eric van der Heijden, is a melodist in the lineage of Vangelis and likes arrangements which add a very beautiful depth to a style which links skillfully the bridge between the Greek magician and the gang of Froese in the 80's. “Endless Endeavor” is the direct reflection of these poles of influences. This first album proposes 10 piece of music which respect the ABC of EM Berlin School style with structures, for the majority, which develop slowly in order to switch for ambient rhythms and to some good sequenced rhythms. And in the end, the biggest merit of “Endless Endeavor” is to plunge the listener into a universe which has no secrets anymore to the fans of the kind... except those secrets of René Splinter and Eric van der Heijden. And as soon as the first colors of the sounds of "Pivoting Pathways" are falling between our ears, the magic of UNIsphere infiltrates our senses with a structure which uses completely its 6 and a half minutes. A woosh decorated with metallic particles strikes the wall of nothingness with a big bang. Thousands of scarlet fragments are fading as some irregular percussions and hopping sequences unite their contrasts in order to sculpt a figure of rhythm which skips under the strikes of the electronic percussions. The tone of the rhythm does very Tangerine Dream, kind of Le Parc. The synth spreads its wall of woosh which turn into layers of ambient melodies while the rhythm, always lively and undisciplined, does contrast by wanting to accelerate the pace of "Pivoting Pathways" which tries a little more to exploit its envelope of ambient melody. Riffs of synth in tones of the Dream strews the paradoxical race of "Pivoting Pathways" which collapses beneath layers of dense rolling of percussions. A moment of atmospheres comes then where a piano changes its notes for those of a keyboard and lies down an ambiguous melody which will anchor a movement of sequences which makes roll its keys into threatening undulatory loops. The sound decoration, the slow growth of the rhythm and its breakaway with sharp sequences borrowed from the repertoire of the Thief exhilarate our ears and make no doubt; we are going to spend a pleasant moment with UNIsphere. We love "Pivoting Pathways"? We are going to adore "Obviously Orbiting" which proposes the same kind of structure. The first seconds of "Radiant Realm" are weaved in mystery. A fog of London covers the intro and we hear a heartbeat. Strands of sequences come to roam around the beats, as well as electronic graffiti which squeak like blades which make the walls of steel crying by a black night. A piano adds to the weight of this sinister atmosphere with short series of notes which runs in loop but whose melody is effectively attractive. This is the way "Radiant Realm" is progressing. Sequences and percussions sculpt an ambient rhythm which catches quietly an effect of crescendo, while the piano accepts cracklings of synth to decorate a melody which will find all its charm with the addition of the breezes of a completely unexpected flute. Ambiospheric and ambiosonic, "Vulnerable Values" is a moment of ambiences where the sound flash of Tangerine Dream abound. We feel a little as being in a space shuttle to devour celestial bodies. "Liberating Loyalty" is also an ambient track with mourners fluty synth lines and twinkling arpeggios which throw a veil of nostalgia. The arrangements are very good, just like in "Eloquent Exposure", a very beautiful ballad on a soft rhythm where synths make duel while weaving nice ear worm. "Jocular Jive" does so very TD with a lively rhythm raised on a meshing of sharp sequences, hopping pulsations and rolling percussions. Synths spit smoke clouds, vampiric harmonies as well as layers of astral choirs when the rhythm calms down. That does very theme music of the The Park is Mine's years. 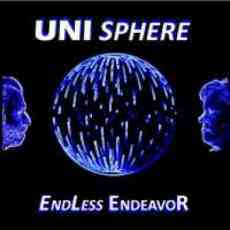 "Endless Endeavour (Part 1,2 and 3)" is a long track which feeds on the essences of this first UNIsphere opus. The introduction offers a rhythm of ballad with beautiful harmonies struck on a kind of anvil. We feel that sequences are chomping at the bit in the background, but they remain united to this first part which is sculptured in the approach of electronic ballad. A dark piano spreads its veil of melancholy in the 2nd part. That does very Schmoelling! Little by little these notes get lost in atmospheres of Legend. Pulsations resound and sound the awakening of the sequences which spread two crossed lines. Lines which cavort with such a fluidity that we could believe to hear Chris Franke in his interpretation of Purple Waves on his album The London Concert. And quietly, in a figure of rhythm forged in elements of complexity, "Endless Endeavour (Part 1,2 and 3)" grazes its minutes before exploring a rather lively finale where sequences wave and gallop into flavors of Franke. We are a little mislaid after the 1st listening, but in the end "Endless Endeavour (Part 1,2 and 3)" turns out to be a very interesting track to be discovered and to be rediscovered. The same goes for "Contemplating Calmness" whose ambient rhythm, fed by rivulets of sequences which wave in a very Franke pattern, wins in velocity as the synths are weaving cloud of smokes and are pulling convoluted harmonies with twisted solos and others vampiric ones which exchange their effects of spectres for some nice fluty breezes. It is just like “Endless Endeavor” ! A very nice album of very good polished up EM and where the rhythms in evolutionary mode, the atmospheres, the ballads and the melodies interweave their charms in very good arrangements and especially in Tangerine Dream's influences without that we ever find it neither exaggerated nor misplaced.